This is Phyllis Mesquita. 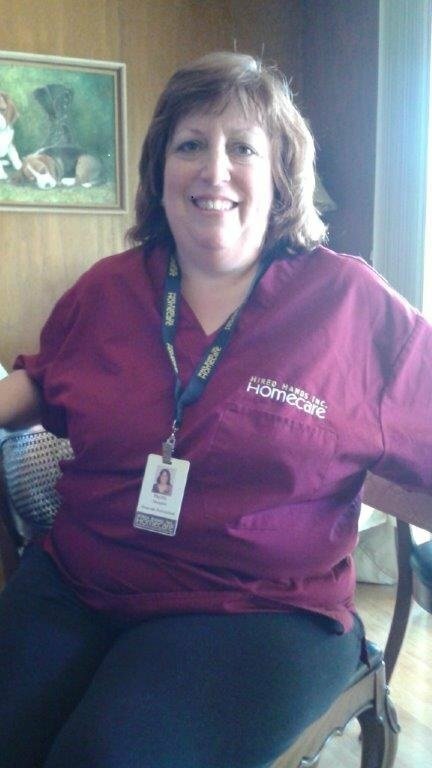 She was caught looking great in her Hired Hands scrub top and name badge while on a home visit! Our Hired Hands caregivers always giving their best.